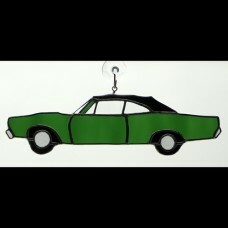 You can now have an artistic interpretation of your classic car in stained glass! 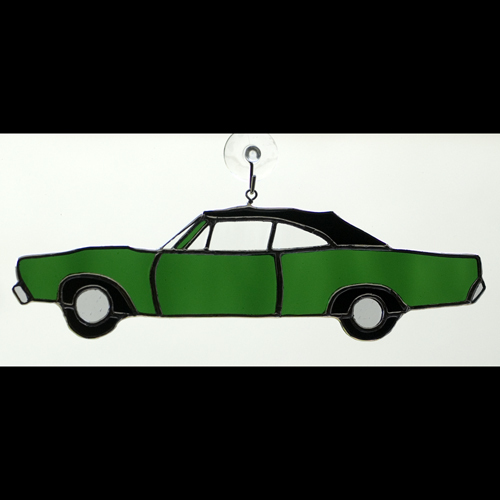 Each sun catcher is made to order with your choice of auto year/make/model and color. Not all detail can be captured, but the artistic representation will hold true to the spirit of the car. As a classic car enthusiast myself, I understand the emotional connection with that special car, and I carry that care into into each of these pieces. Your sun catcher will be approximately 8 inches long, but may vary by model. When placing your order, please specify year/make/model and preferred color. If you have any other special requests, just ask and I'll do my best to accommodate. Your sun catcher will have a hook on the back so you can hang it from a suction cup (suction cup not included). Please allow 1-2 weeks for me to create your sun catcher.